Only on this road trip would one go from Atlanta to Nashville to Alabama on the way home. But that was actually the plan. That and getting gas every day. We had marked the Nashville Zoo from our truncated trip there 3 years ago when my son had an upset stomach that day and we had to leave abruptly. 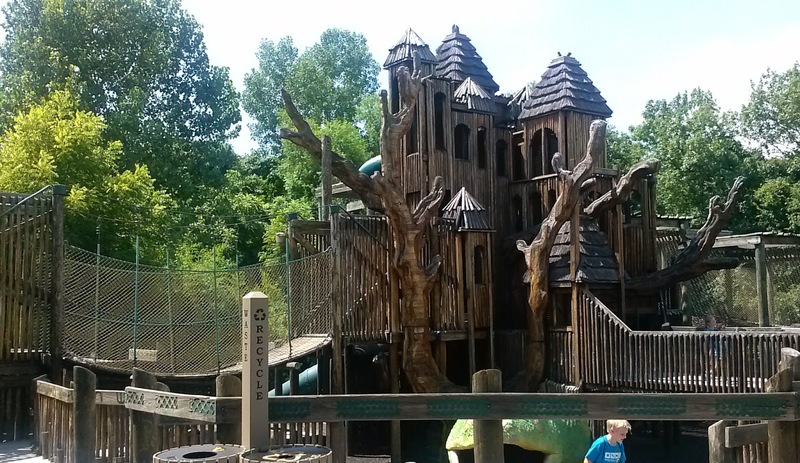 It is of course home to the Jungle Gym, the world's largest outdoor playground structure. 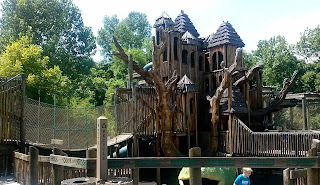 So after the kids ran and climbed around for an hour in the 95-degree heat, we walked the grounds and saw the tigers, elephants, giraffes, and other exotics on display. 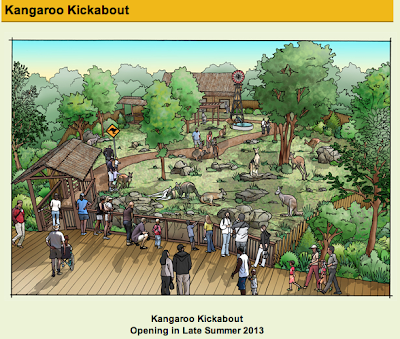 I was a little disappointed because I was looking forward to seeing the Kangaroo Kickabout, which was scheduled to open this summer but doesn't look anywhere near ready. When we left Nashville we had essentially completed our own kickabout of the eastern United States. The kids had been drained of their energy before being jettisoned off to their Alabama relatives for a week of more fun. And having removed a lot of excess cargo, my ride seemed a lot lighter. The drive home will be a lot more peaceful but it won't be the same.